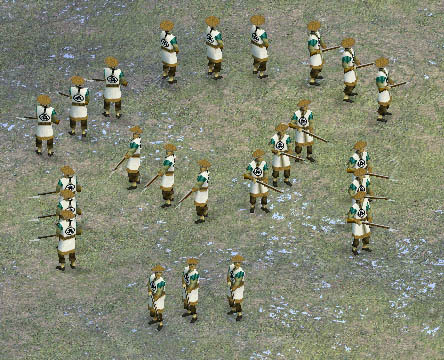 This is a page for sharing with fellow Rise of Nations enthusiasts some cool Mods, and screenshots I made for the game. This is a screenshot of a mod I did of the German's Tiger II tank in RoN to make it gray in colour. Armoured Car shown for comparison. This is a screenshot of a mod I did of the German's Tiger II tank in RoN with snow camoflage. Alpine Special Forces troops shown for comparison. This is a screenshot of a mod I did of the German's Tiger II tank in RoN with Black-Yellow Striped camoflage. Volksgrenadier troops shown for comparison. This is a screenshot of a mod I did to make the Stealth Bombers in RoN black, instead of steel coloured. This is a screenshot of a mod I with Tiger Stripe Camoflaged King Tigers, with accompanying Troops and vehicals. Just an initial attempt at modding the skin. This is a screenshot of a scene that tries to recreate a battle in the Opium War, features a mod of the Manchurian Riflemen, also in white. 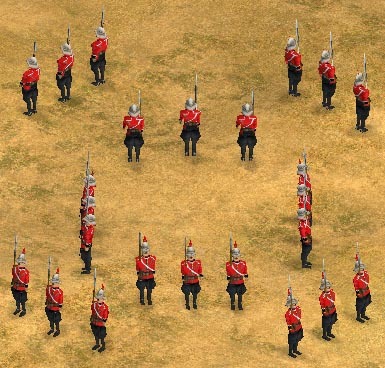 This is a screenshot of a scene that tries to recreate the battle of Isandlawa, features a mod that shows British troops during the Boar War period. 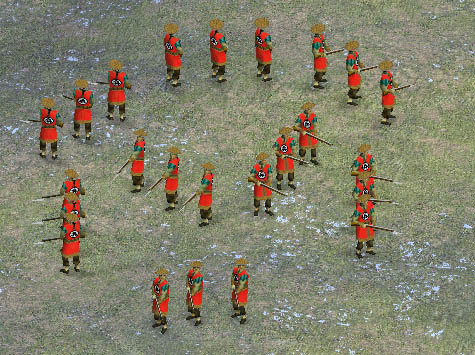 This is a screenshot of featuring a mod of Napoleon's Old Guard Grenadiers, forming a defensive square. A Horse Guard Grenadier stands in as Napoleon.